Unlocked Galaxy Note 9 (512GB) on sale for $850, save big! 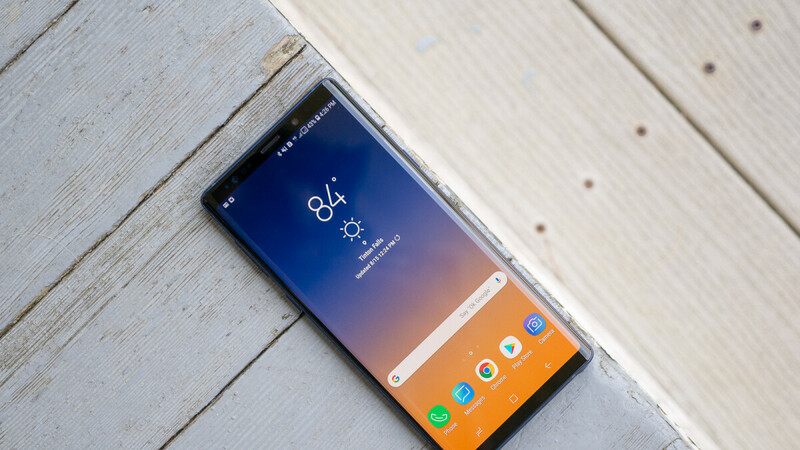 Looking for a great deal on the 512GB Samsung Galaxy Note 9? An eBay seller with a 99.4% positive feedback rating is offering an unlocked variant (SM-N9600) of the device for $849.99. For comparison, Samsung's own store sells the 512GB version for $1249.99, while the cheapest listing for the same model on Amazon quotes $969. This means that this deal will save you at least $119. The SM-N9600 model is powered by Qualcomm's Snapdragon 845 SoC, features Dual SIM capabilities, and works only with GSM carriers like AT&T and T-Mobile in the U.S. Aside from the lack of support for CDMA carriers, the other downside to this model is that there is no warranty included. However, the product is new and arrives in its original packaging, and you have 30 days to return it if you're not happy with your purchase. At the time of writing, only the Ocean Blue and Lavander Purple colors are still up for grabs. If the deal interests you, feel free to follow the above link to eBay. Now that is a deal. If they produced only one model and sold it that price. My goodness they would have sold boat loads. I know it sells but it would have sold more if they didn’t price match the IPhone (maybe). That's so stupid comment. Of course lot cheaper price would mean lot better sales :D but it's not possible to do that and that's why they are in trouble. I bought a mint, 512GB Unlocked Note 9 from Swappa for $880. It’s the only place I buy/sell devices. Samsung pay not working is the blocker for me from getting this unlocked model from eBay. Samsung pay is too good to let go. This is where the price of phones should be at and not $1250-$1450 for 512GB of storage for a Samsung or Apple premium phone.